Matthew was a Senior Aircraftman in the Royal Air Force before being discharged in 2004. His mental health difficulties had led to a number of challenges including depression, and a lack of self-worth and purpose. 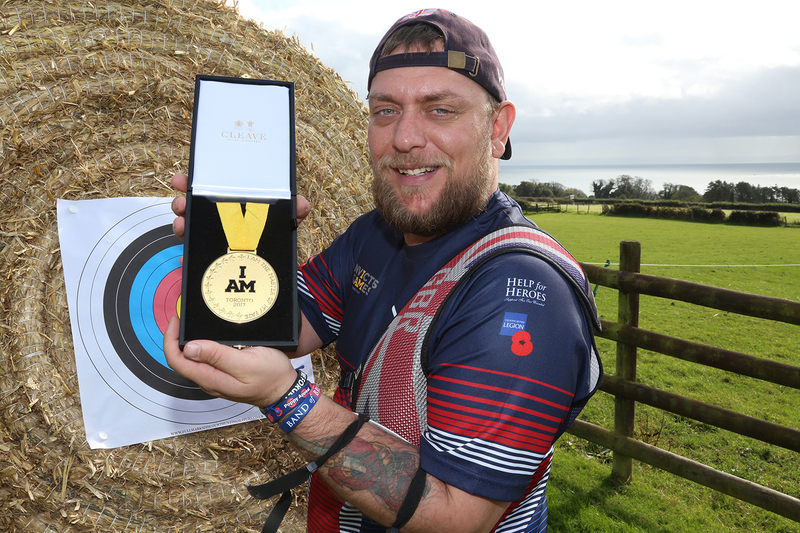 Matt took up archery and used the sport to give his life focus again and help him on his recovery journey. Matt said, “When I am looking down the range at the target, I just switch off and all the tension builds in the draw of the arrow and then it goes with the arrow when released. It’s an escape”. Most of us will never know the horrors of combat. Many servicemen and women suffer life-changing injuries, both visible and invisible, whilst serving their countries. In 2013, Prince Harry visited the US based Warrior Games for wounded, ill and injured military personnel and veterans, and was inspired to create an expanded international version. The inaugural Invictus Games was held in 2014 and attracted more than 400 competitors from 13 countries. Matthew got knocked out in the quarter finals in the individual Fita 18 category, but went on to win a gold medal in the team event. Matt described his feelings after the win: “How proud I was to win – and to receive that medal with my team mates was indescribable”.